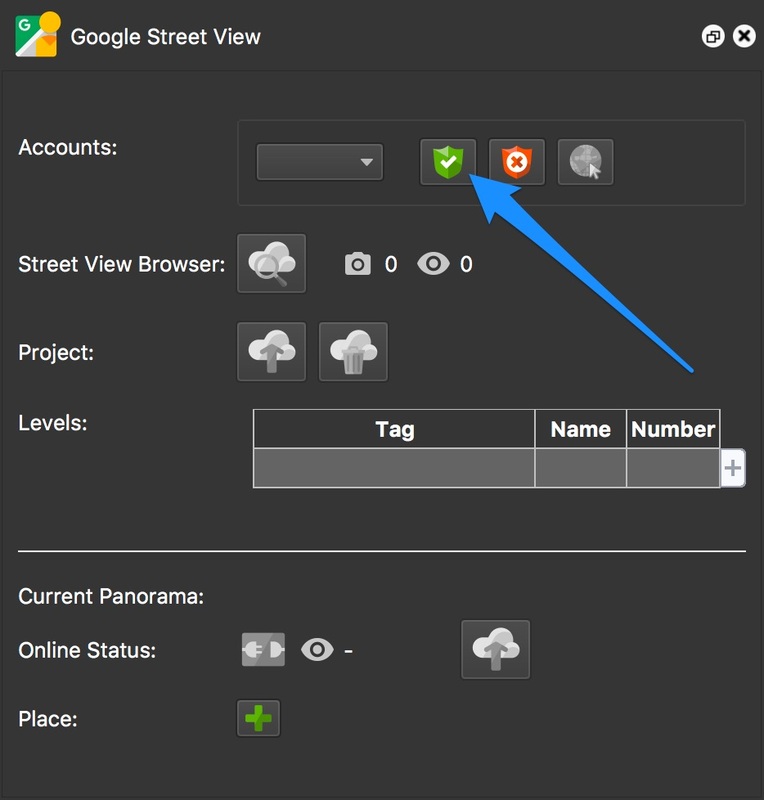 To upload a tour to Google Street View from Pano2VR pro, just open the Google Street View Panel and connect your Google account. You’ll then have access to all your images and tours. 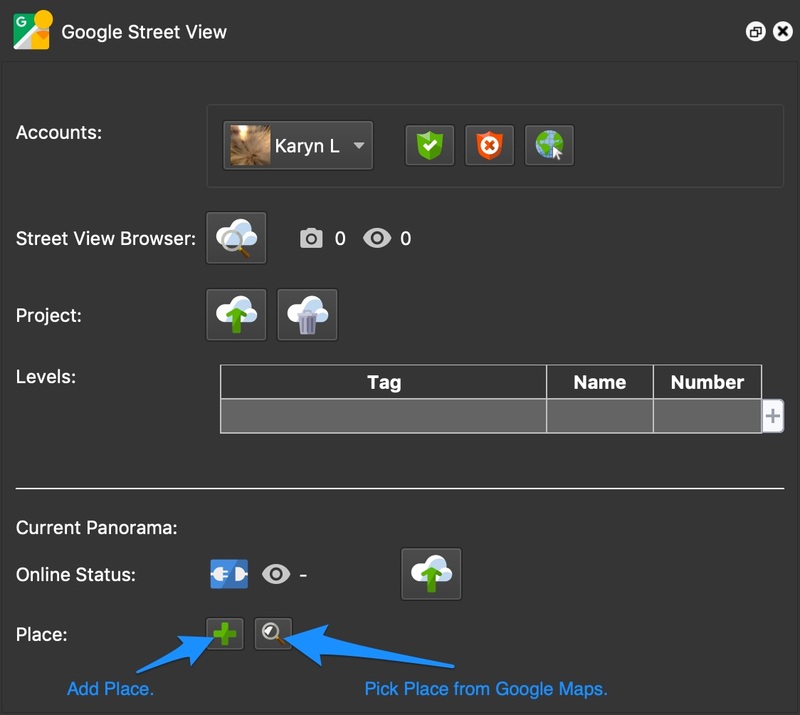 Here’s the basic workflow for uploading a small tour to Google Street View. Add an image or if using Pro, multiple images/tour to your project. Open the following panels (if not already open): User Data, Tour Map, Street View, and Output. Level the images, if needed. ✭ If the image has leveling data, Pano2VR will use this to level the image. Sometimes, the recorded GPS might be a little off. Use the Tour Map to fix locations by just dragging the pins in the map. ✭ Tip: Use the keyboard shortcut, Command-] to quickly move to the next panorama. Check that North is set. Hold down the N key while spinning the panorama in the Viewer. You can use the Tour Map to help with the orientation. Open the Tour Map, hold N and spin the radar beam to the correct angle. Use the Pick Landmark method. ✭ For a tour, copy North to all nodes instead of fixing it in all nodes. In User Data, find the North setting that is correct for a single node. Click the copy button to copy North to all nodes. Add a Blurring patch to blur out faces and license plates. Add a Blur Cover patch for quick hiding of the tripod. ✭ To add the same patch across all tour nodes, add a patch in the Master Node. Set default views. The default view is the panorama’s starting view. Note that the default view added here will only be applied to viewing the tour or panorama from within your account. Google will choose a random starting view when the map is viewed from within Maps. In the Tour Map, use the Automatic Linking option, Closest Node, to quickly connect all the nodes. 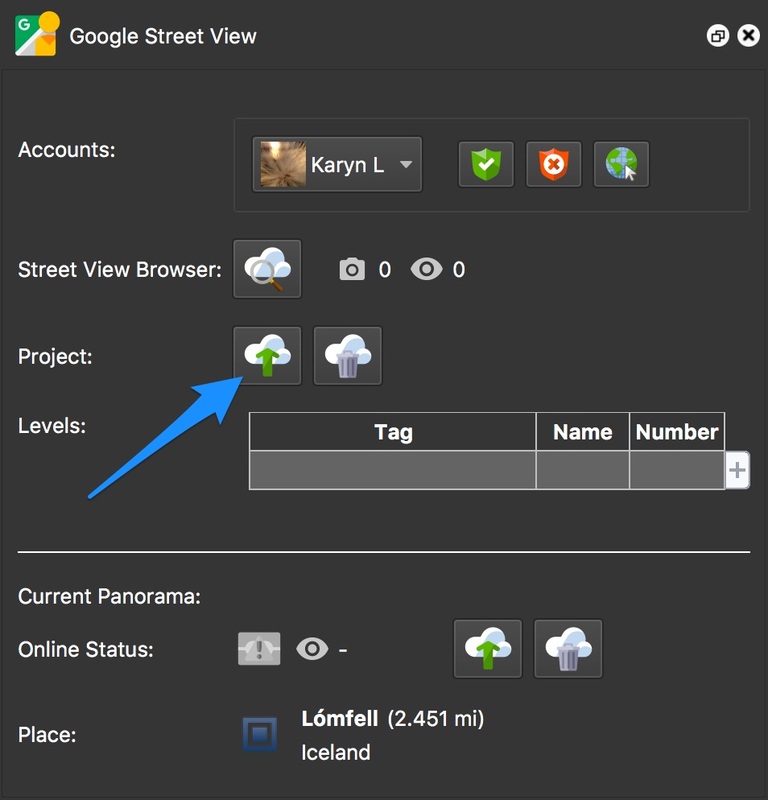 ✭ This is the recommended linking mode for uploading to Street View. When you’re done connecting all the nodes, you can hold down the Alt [win] or Option [macos] key and click the hotspots in the viewer to move through the tour. If you need to remove a connection (while in Link Mode), press the Alt or Option key and click the target pin of a connection in the Tour Map to remove the linking. 7. Open the Google Street View panel. Connect your Google account using the Grant Access button. Click Add Place and then search for the point of interest (POI) and/or choose the POI from the list. Click Pick Place from Google Maps. This will open the Tour Map. Find a POI and click it to apply the place. ✭ Tip: Use the Copy button to copy the same Place ID to all nodes in the Tour Browser. ✭ Note: Currently, you can freely search and add Place IDs, but this could change and require you to use an API key from Google. Upload the project using the Upload Project button. Once the project is uploaded, you’ll see the images, but it may take a while for the connections to be made. In the meantime, you can check your images using the Street View Browser.